1How much money can I realistically expect to make? 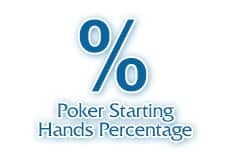 In order to know the answer to this question, a large sample size of poker hands (and/or tournaments) is necessary. Of course, a player that was making good money playing part-time, for 20 or so hours a week over a long period of time, can generally expect to make quite a bit more when playing at least double that amount of time. However, if the sample size that the player based his expectations on was in fact too small, this could result in an inaccurate measure of how much the player could reasonably expect to make. Having an accurate understanding of expected income will be individual for each player, but is a crucial component of the decision to go pro. 2How much are my monthly expenses? 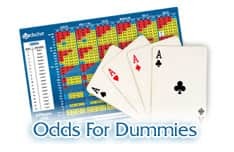 The calculation of expenses will aid the potential pro in ascertaining how much room for error exists when calculating his required income from poker. Of course, the fewer the expenses, the less one needs to make from playing poker in order to maintain their standard of living. For those on the borderline, it may be wise to try to reduce monthly expenses to ease the burden as they take the plunge. Potential ways to do that include living with a roommate, moving to an area with a lower cost of living, and reducing entertainment expenses. Additionally, some expenses may have to increase if the player decides to turn full-time. For those playing on the internet, purchasing back up internet in the event of a power failure could be a necessity, especially for those playing high-stakes. For those playing live, moving closer to their preferred casino could be costly. Having an accurate view of monthly expenses is a fundamental component of ensuring success as a full time poker pro. 3What would happen if I lost my bankroll? This question points out the necessity of having savings not directly thought of as part of one’s bankroll. Generally, the other savings and investments a poker player has are referred to as a "life roll," and having an adequate one can ease the stress of turning pro. Ideally, having at least six months of living expenses saved will allow one more options in the event that they lose their bankroll. Ideally, proper bankroll management would have ensured that the player was extremely unlikely to go broke. However, depending on the form of poker played, and the achievable edge, this can occur. Having a plan in place for such an occurrence is an important step in the decision to turn pro. 4How professional a poker player am I? This question refers to the immense amount of dedication that is mandatory for a player to do well in the long-run from poker. As poker is a constantly evolving game, studying and lending critical analysis to hand histories is an important part of maintaining an edge in the game. Also factoring into this question is the common issue of tilt. Players that have serious issues with losing a hand and subsequently making poor decisions are likely not ready to become full-time players. A calm demeanor and the ability to take bad beats in stride are two hallmarks of a long-term winner. Really want to know how to become a poker pro? When players ponder how to be a professional poker player, the best advice is to focus on the professional part of the title. Consider what it means to be a professional in any field and apply that to playing poker. Take it seriously, treat poker as a profession ( a job) and not just a hobby and soon you'll really understand the answer to the question of how to become a professional poker player. 5How much do I enjoy playing? For someone considering turning pro, the answer to this question is, most likely, that they like playing a lot. Yet, this is still an important question for one to honestly ask themselves. For someone that has enjoyed long periods of time off from playing, turning pro is likely not the best decision for their future. 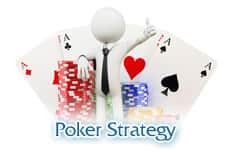 Playing poker for a living often takes away much of the recreational enjoyment for the game (due to the added pressure), so a love of poker is crucial to maintaining enjoyment at the tables. Being self-employed has many great aspects, and one of them is having a flexible schedule. But for those who can find it tough to motivate themselves to work, this could be a real downside. There are many ways to work on this important skill, and drawing up a work schedule, and adhering to it, is a great first step. Of course, there are days a professional poker player just doesn't feel like playing. Perhaps the person has experienced a series of bad beats and is in the midst of the worst downswing of their career, or there are just many fun things the player would rather be doing. While taking a short break can be a good temporary solution, finding the motivation to play even when one would rather be doing something else is a necessary skill for a professional poker player. 7Do I have a solid support system? A solid support system for a pro could mean many different things. It could be that the player lives alone, but has an even disposition and a lot of poker friends. It also could mean that the player has a spouse that supports and encourages them. However, it does not mean that the player has a spouse that focuses on the taboo aspects of poker as a form of gambling. Turning pro in that kind of environment could result in a toxic relationship for both people. Of course, the other person in the relationship doesn't have to be a professional poker player, but having a significant other that respects poker as a viable profession will help a pro to be more successful in the long run. 8Am I prepared to work unusual hours? Oftentimes, the best poker games happen late at night. For those people that are early birds, having a career in poker may not align with the type of schedule they hope to keep in their daily life. The ability to have flexible hours, based on being able to play in the most profitable games, is an important skill for a successful pro poker player. Of course this depends on where you are located, but this is something to consider. When playing casually you can just log on and play. But if you're playing professionally you will be looking for the most profitable cash games or tournaments, and they don't always run on your schedule. 9Do I have respect for money? We've all heard the stories of poker players that make a killing in a cash game, only to lose it all at the roulette table. The nature of being a poker player is that you'll be surrounded by many ways to quickly gamble or spend a lot of money. This is especially apparent for high-stakes players, as routinely playing for large sums can affect how one thinks about the value of money. Maintaining a clear-headed view of the worth of money is a key concept to remember when making the transition to being a pro poker player. 10Will playing poker for a living contribute to my happiness? Even for those that feel confident from the previous questions about their decision to turn pro, this is an important one to consider. As a pro, you'll likely be faced with judgmental responses from the majority of people that inquire about your profession. You'll also be faced with people claiming your profession is not constructive, and will be asked, "You make money doing that?!" so many times that you'll lose track. 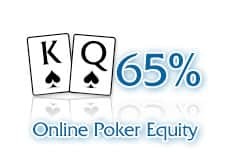 Conversely, if you love playing poker enough, and are willing to manage the broader aspects of this profession, playing pro poker online full-time could be the best decision you ever make.